VILLA DEL CARBÓN, Estado de México. KidZania Journal. November 25, 2012. (English). 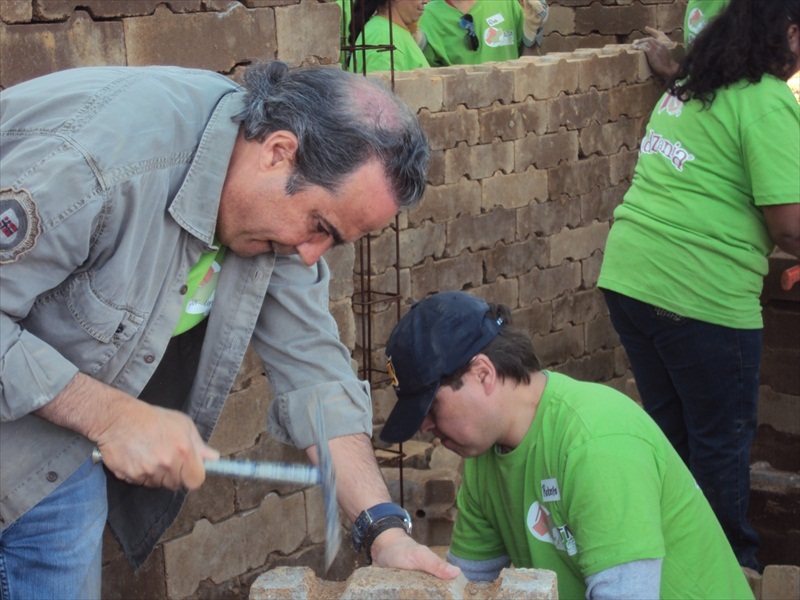 -This Sunday, 30 KidZania collaborators from the Central Government, KidZania Santa Fe and KidZania Cuicuilco, joined “Ayúdame que Yo También Soy Mexicano AC” -a Mexican NGO that looks to improve the quality of life of millions of Mexican families that live in isolation and extreme poverty- and together built a home for a family of five in Villa del Carbón, State of Mexico. 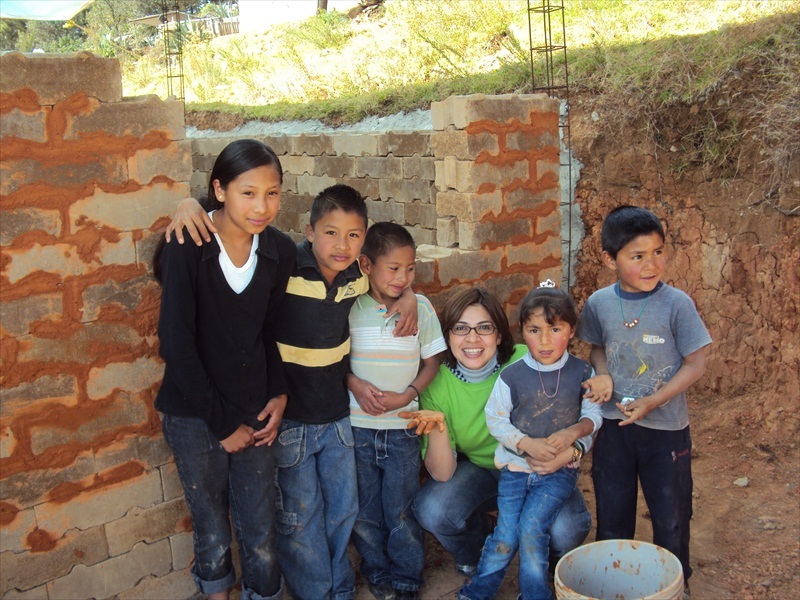 For the last 12 years, ATMAC has actively participated with low-income families and communities, giving them the opportunity not only to have a proper home, but also helping them create sustainable physical, cultural and educational heritages. 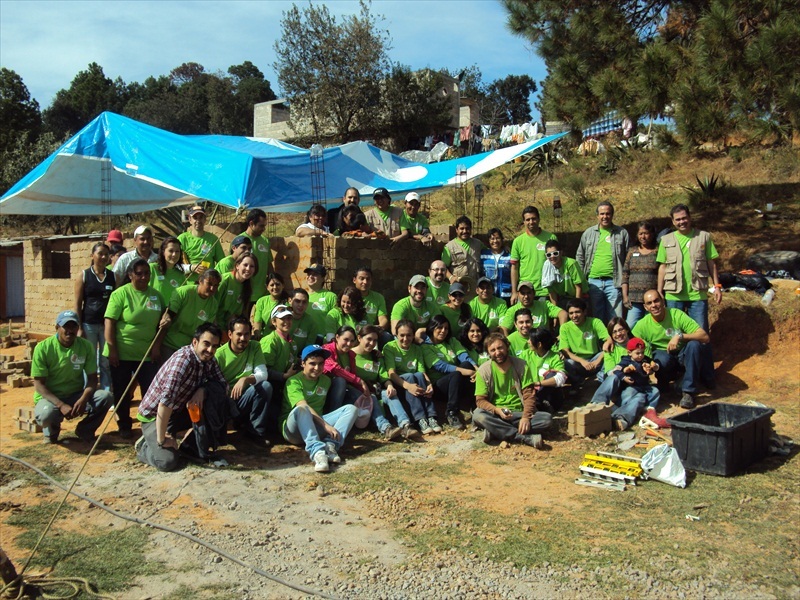 ATMAC uses a revolutionary contruction method to build houses, developed by Mexican architect Raúl Sánchez Mora. 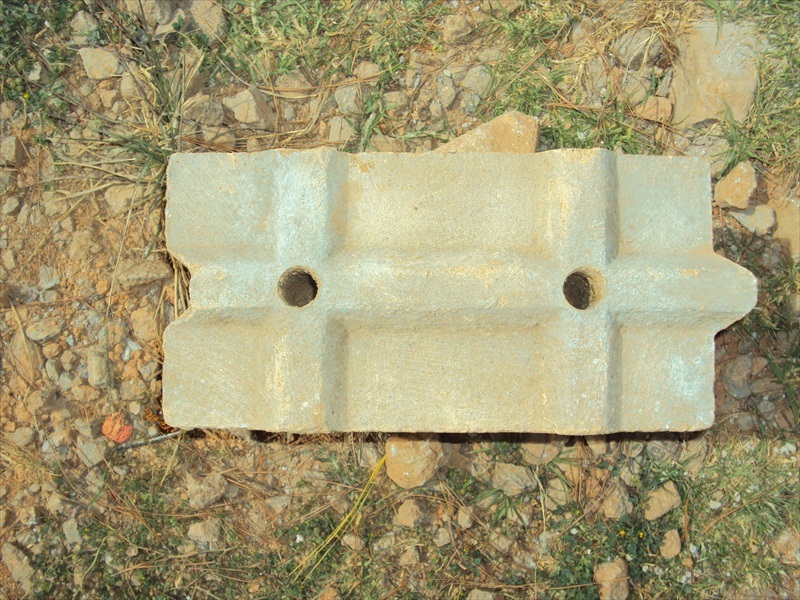 This method, called “machihembloque” (a compound word to describe the innovative male-female connection blocks) consists of adobe blocks, manufactured with local soil and clay and only 10% cement. The design of the blocks integrates slots and ribs that match together perfectly without the need of extra bonding mixtures. By using local resources, this system minimizes environmental damage and promotes community work, improving the quality of life of the beneficiary family. 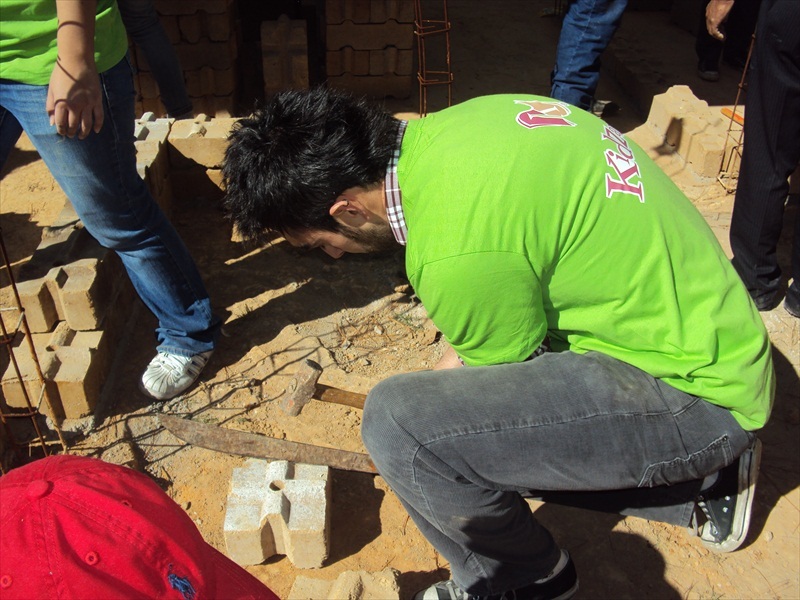 The finished house will have an area of 44.5 sqm with 3 bedrooms, living room, kitchen, one bathroom and a concrete roof. 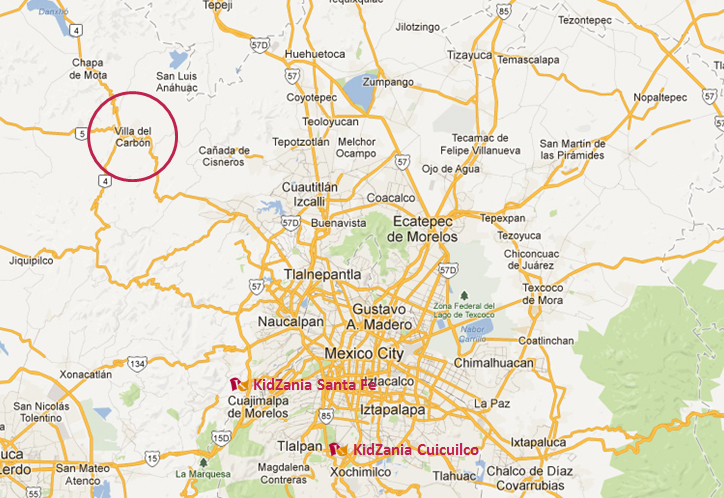 Villa del Carbón is a town and municipality located in the northern part of State of Mexico, just northwest of Mexico City. The municipality contains a number of villages of Otomí and Nahua origins, in which much of the indigenous culture still survives. The municipality’s territory was defined in 1714 when a region known as Chiapan, split into what is now Chapa de Mota and Villa del Carbón. At that time, however, the community which is now a municipal seat did not have an official name; it was known first only by the name of its church “Nuestra Señora de la Peña de Francia”, and later by being a major supplier of charcoal. This would lead to the name of “Villanueva del Carbón de Nuestra Señora Santa María de la Peña de Francia”, which eventually shortened to just “Villa del Carbón”. The major portions of the municipality’s glyph, which serves as it coat-of-arms, does not reflect the town of Villa del Carbón but rather two of its oldest communities: Taxhimay and San Lorenzo Pueblo Nuevo. The municipality covers an area of 356.14 sqkm and has a total population of 39,587 (2005 census). Of this total, 8,029 live in the municipal seat of Villa del Carbón and the rest live among the other 57 communities which rely on the seat for government purposes. The municipality is divided into three “barrios” or districts named Pendo, Centro, and Taxhihué. Today, the municipality’s economy is based primarily on tourism, as it has a number of streams, rivers and dams suitable for water sports, trout-fishing and camping facilities. It is also the home of a nationally recognized charreada (a type of rodeo) venue, that hosts major events. ZanKs to all the members of the KidZania family that participated in this great project!